For over 26 years, New Surface Refinishing has provided quality kitchen and bathroom refinishing services in the Sacramento, California, area. Our goal is to give you prompt, quality work at a price you can afford! 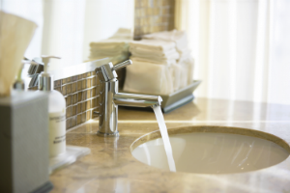 Whether you need a sink refinished or a shower redone, our reglazing professionals will give you a new, durable, and beautiful surface that you will love for years to come! We serve Sacramento, and surrounding areas, including Rancho Cordova, Citrus Heights, and Elk Grove. Call our resurfacing pros today at (916) 426-9541 to get an estimate and schedule your service!